Sarah shares her experience of the GEM Project, alongside Natalie, one of our GEM individuals that Specsavers have employed. Having Natalie around has made a huge difference. She is a joy to have around. Waitrose in Cheltenham have been working with a number of GEM individuals, supporting them with their interview skills and techniques through mock interviews. They have been using their current interview process to provide a realistic interview experience, but conducting these in small groups rather than on a one to one basis, allowing GEM individuals the chance to talk through different scenarios and answers given to the various questions. Each GEM individual has a skill set, they may just need some extra support to help showcase this in the best possible light. These coaching sessions have provided the opportunity to help them elaborate on their skills and build their confidence. It allows us to help these individuals by recreating a safe environment for them to experience and practice in to assist with future interviews. It’s been a pleasure to be involved in this process and we will be looking to hold further practice interviews to support more people. It's even helped me, challenging myself with my interview techniques to ensure that I am clear, and my instructions are explained properly to be fully understood. It’s been a pleasure to be involved in this process and we will be looking to hold further practice interviews to support more people. Stratstone Land Rover in Cheltenham has offered one of our GEM individuals a work placement with the potential for this to develop into a paid position. 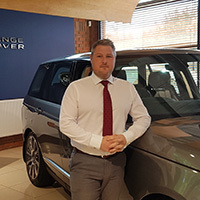 Alex has joined the team at Stratstone Land Rover initially on a work placement to help provide us with some photography support for the vehicles for sale at our store in Cheltenham. Due to our staff capacity, currently our Sales Executives or Valeter’s have been coordinating the photography needed. This is extremely time consuming due to the strict criteria outlined by Land Rover and has resulted in a back log of vehicles due to other work duties. Therefore, to have the chance for someone with a HND in Photography to provide support to the team, whilst being able to offer an opportunity which benefits Alex in an area of interest to him, is not only beneficial to us but also an extremely rewarding programme to be a part of. Without a doubt, I would recommend the GEM Project. The entire process in arranging this placement has been extremely smooth running, there has been brilliant communication with Reg, Alex’s Navigator Developer from Gloucestershire Deaf Association, and it’s enabled us to create a great solution which supports and suits both parties. I feel we have built a great partnership and I’m really excited to see where this will lead moving forward. I’m now even going to have the opportunity to be taught some sign language. Without a doubt, I would recommend the GEM Project. The Stroud District Furniture Bank has been working with one of our GEM individuals and has now offered him a full time position. Josh initially joined the Stroud District Furniture Bank on a work placement. During this time, he showed a real positive energy and we immediately knew he would be an asset to our team. Over this period of time, his attitude and willingness to work improved, with him using his own initiative and dealing with any issues in a professional manner. We have now employed Josh as a full time Driving Assistant to support the team. Following his appraisal, we will be looking to offer him a more defined role based on what he enjoys doing, along with more training opportunities to develop his skills and provide a higher level of responsibility to his work. I would definitely recommend the GEM Project to other organisations; it offers a very supportive environment, providing the opportunity to give capable and determined individuals the chance to excel. There have been times in the early stages that we needed some extra support yet Josh’s Navigator Developer has been on hand to offer any assistance required. Josh showed a real positive energy and we immediately knew he would be an asset to our team. 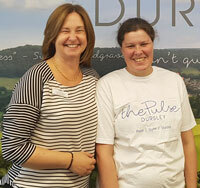 The Pulse Dursley offered one of our GEM individuals a six-week work placement to help develop her health and fitness skills before starting a fitness based course. 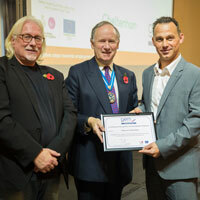 It’s been great to be a part of this project and I would definitely recommend the GEM Project to other organisations. 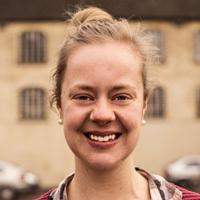 Fran loves fitness and is extremely knowledgeable in this area, with a genuine interest to learn and develop further. By offering a work placement to Fran, I feel that this has benefited both us as an organisation, as well as help Fran to enhance her skill set. It’s enabled The Pulse the opportunity to provide Fran with an insight into this business, in particular the customer service aspects as well as the health and fitness skills. Not only this, it has also provided a chance for our staff to learn too, by sharing knowledge and learning new ideas through Fran. Fran has done brilliantly in her placement and we feel really proud that we have been able to help her move forward with her GEM journey.